The blog is actually a fan of the artist Francis Bacon, and it rather likes the above painting of his friend and fellow-artist Lucien Freud. But the reason for showing it is not to discuss the finer points of art criticism. It is instead simply to note that its sale by auction house Christies in New York last week is yet further evidence of the mad state of asset markets at the moment, due to the liquidity being channelled to them by the central banks. Before the auction, it was speculated that the painting might be sold for $85m. 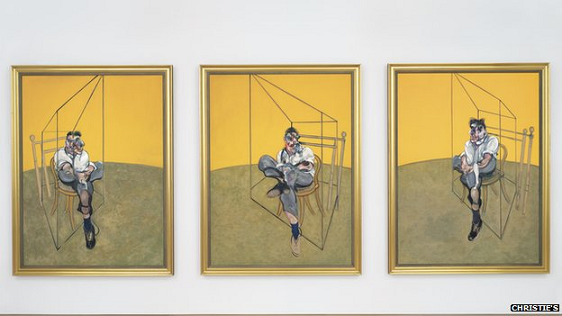 This would already have matched the then-record $86m paid for another Bacon triptych at the last market peak in May 2008. In fact, the price swept past this in frenzied bidding to reach $142m, a 67% increase – the highest price ever paid for a work of art. And this was not an isolated example of one crazy bidder with more money than sense. At the same auction, a sculpture by Jeff Koons went for $58m, a new record for an artwork by a living artist. The frenzy of the bidding was shown by the fact that the previous record for an artwork was the $120m paid last year for Edvard Munch’s ‘The Scream’, and the living artist record of Gerhard Richard of $37m only in May. Nobody values a work of art by its auction value. People with the amount of money necessary to buy these paintings instead simply want to impress their friends with their ability to pay record sums like this, without thinking. 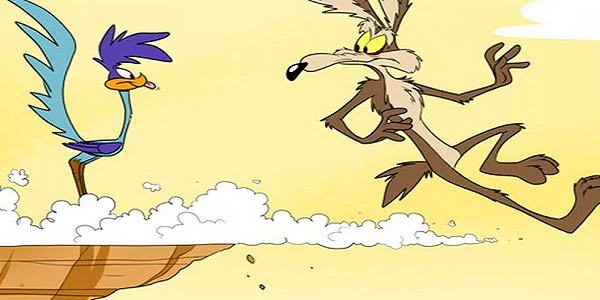 Such is the world encouraged by the Federal Reserve and other central banks, who still seem to honestly believe that their support for financial asset markets is the secret to restoring economic growth. Historians may not be kind, when they come to assess the results of their efforts. We see the same pattern each week, of course, in the blog’s Downturn Monitor. As latest benchmark price movements since January 2013 show below (with ICIS pricing comments), major price falls are taking place in chemical markets due to lack of demand. Similarly, tech giant Cisco has seen orders from the major emerging markets fall 21% in October, something their CEO has “never seen before“. Whilst Wal-Mart’s CEO says the world’s largest retailer expects the upcoming holiday sales period to be “about as competitive a market as we’ve ever seen”.